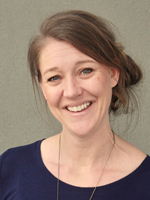 Kara Nixon is a licensed speech-language pathologist. She graduated from Boise State University in 2005 with a B.A. in Elementary Education. In 2016, she received a master’s degree in Speech-Language Pathology from Idaho State University. Kara provides speech and language evaluation and treatment in the areas of receptive and expressive language, pragmatic language, speech articulation, and fluency. Kara has worked with pediatric clients with various diagnoses including autism, ADHD, Down Syndrome, and developmental delay.